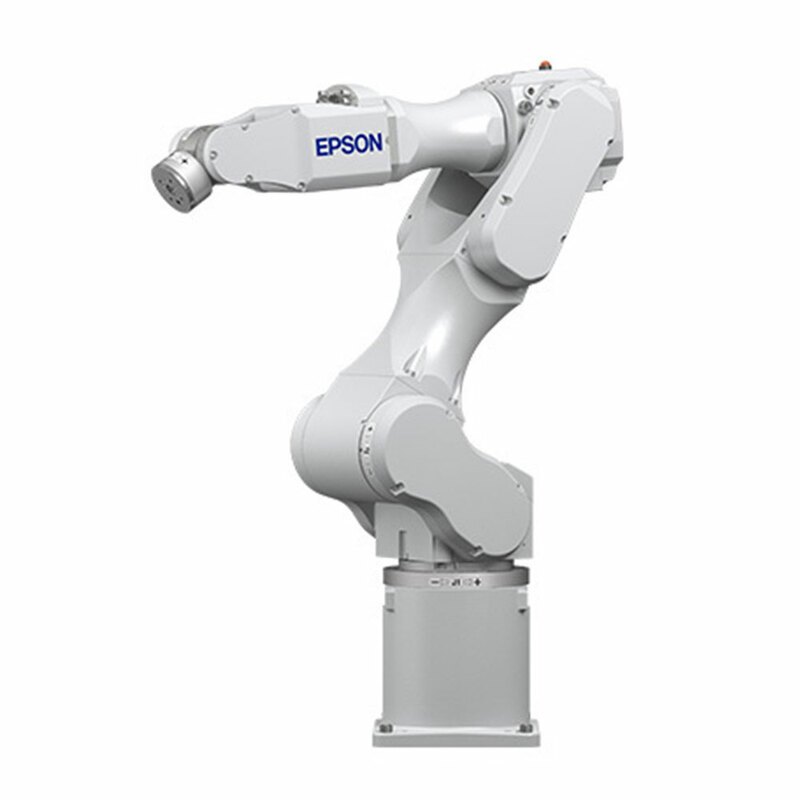 FPE Automation is proud to introduce Epson SCARA and 6-axis articulated robots. It's official. We've added the Epson product line! 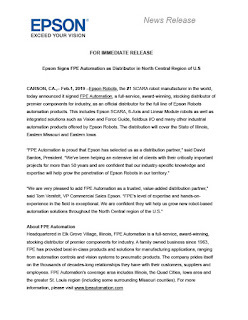 Epson Robots, the #1 SCARA robot manufacturer in the world, announced that it signed FPE Automation, a full-service, award-winning, stocking distributor of premier components for industry, as an official distributor for the full line of Epson Robots automation products. This includes Epson SCARA, 6-Axis and many other industrial automation products offered by Epson Robots. The distribution will cover the State of Illinois, Eastern Missouri and Eastern Iowa. 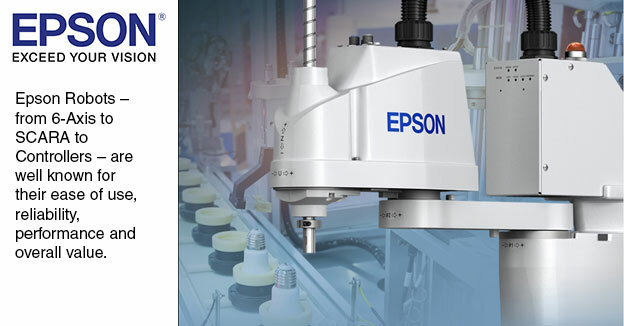 View the official press release from Epson. Contact FPE Automation for more information, price quotes, demos, etc. 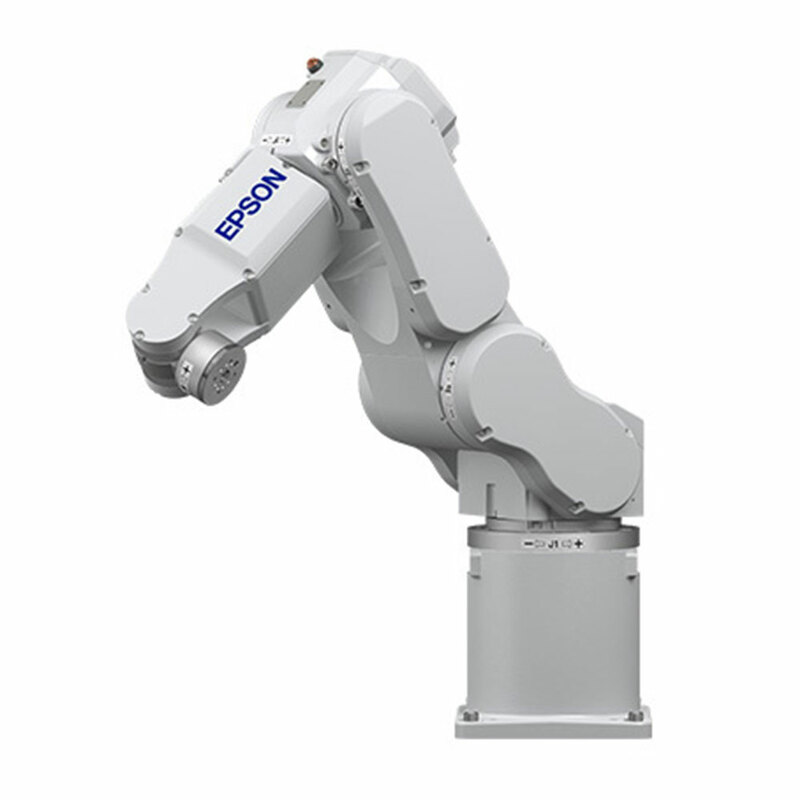 Anything Epson-robot related, we're here to help. 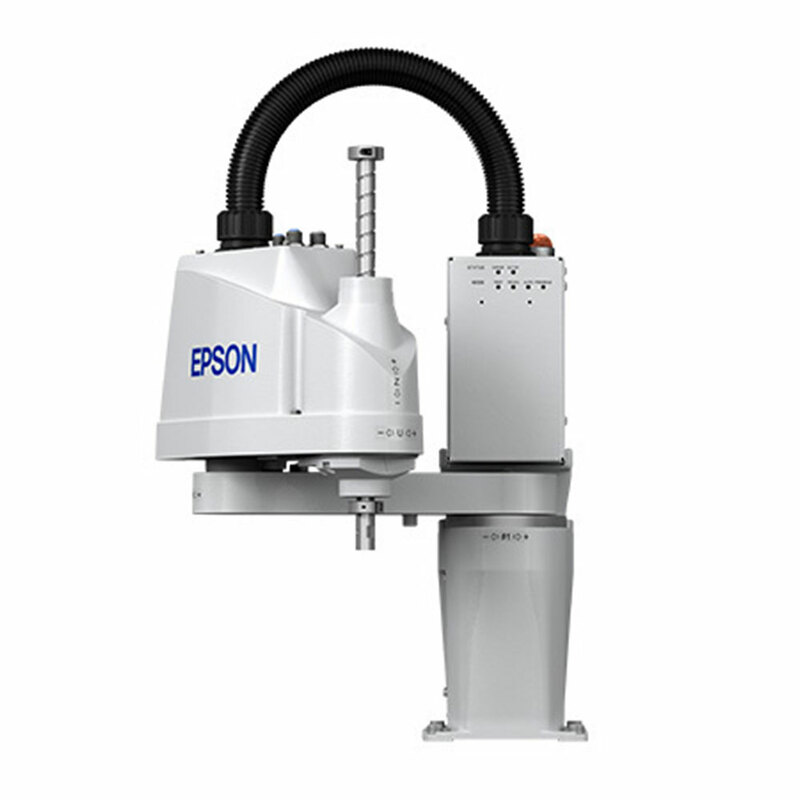 More one-stop shopping from FPE Automation! 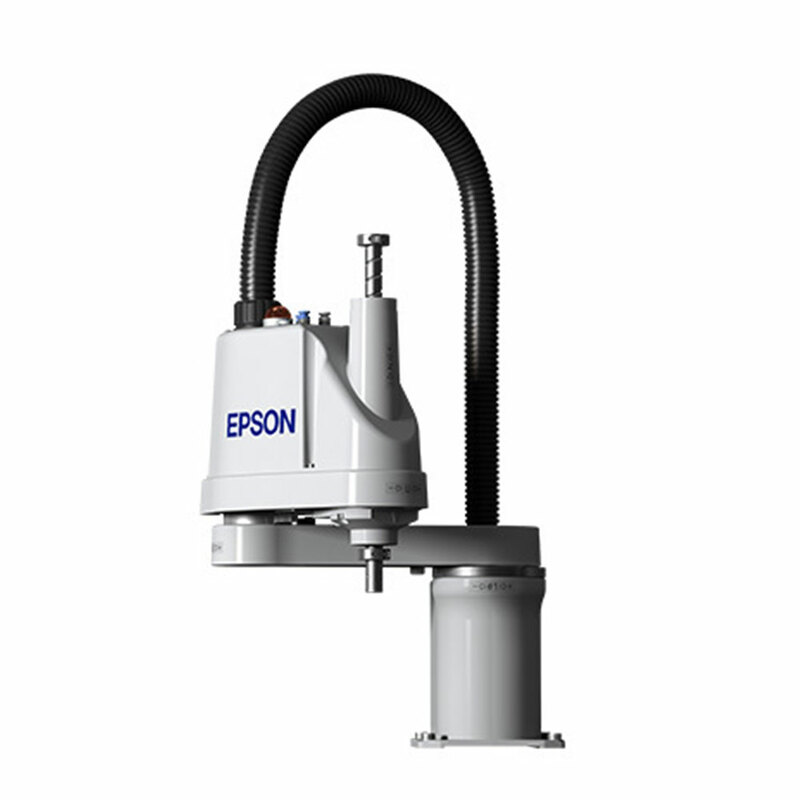 Another reason why we are your #1 source for industrial automation products.